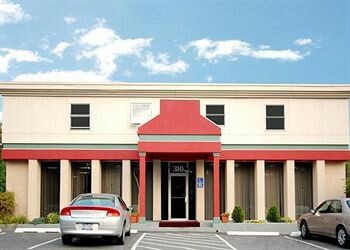 Property Location When you stay at Econo Lodge Near Stewart Inter in New Windsor, you&apos;ll be near the airport and convenient to New Windsor Cantonment State Historic Site and National Purple Heart Hall of Honor. This hotel is within close proximity of Knox&apos;s Headquarters State Historic Site and New York Military Academy.Rooms Make yourself at home in one of the 38 air-conditioned rooms featuring refrigerators. Complimentary wireless Internet access keeps you connected, and cable programming is available for your entertainment. Conveniences include desks and coffee/tea makers, as well as phones with free local calls.Dining A complimentary continental breakfast is served daily.Business, Other Amenities Featured amenities include a computer station, a 24-hour front desk, and multilingual staff. Free self parking is available onsite.